Beijing’s Ritan Park offers repose in a modern neighborhood full of embassies. 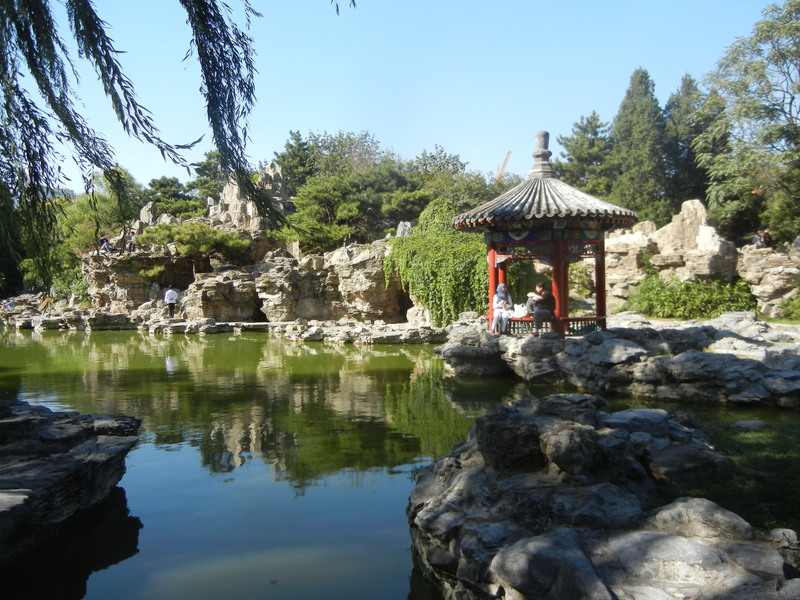 But it’s one of Beijing’s oldest parks, and it reflects a much older tradition that’s intertwined with China’s cultural and political history. Mark Edward Lewis writes that urban gardens emerged during the migrations to the Yangtze River after the fall of the Han Dynasty in 220 CE. People in these southern lands saw many types of trees, flowers, fruits and animals they had never imagined before. Much of the north had been deforested, but the southern hills sported all their lush vegetation. This world of exotic foliage, animals and spirits provided a model for gardens and villas that the newly established kings and rich merchants were making. The Han Dynasty had hunting parks for the emperor, but the growing southern cities built large gardens within their walls. They were mainly for the rich in those days. 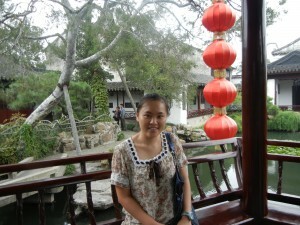 The picture above is from the estate of a wealthy Suzhou merchant. Many urban gardens were also for the moneyed. Gardens incorporated yin/yang cosmologies, which already had deep roots in ancient Chinese thought. They balance mountains and water in a harmonious whole in which all spaces smoothly flow together. With this traditional Chinese idea, the leaders of the new southern dynasties tamed the alien lands, and brought them within traditional China’s cultural orbit. But at the same time, new cultural spaces were emerging. Landscape painting became a central art form. Painting in the Han Dynasty was more centered on people, and on royal and noble courts. Poetry about nature also emerged. So did the ideal of a peaceful life in one’s villa, or in the mountains, away from the city’s political intrigues and senseless luxuries. After the break-up of the Han Dynasty, this ideal appealed to more people, and it became fashionable for upper class men to write about it. Buddhist monasteries were built in hills and mountains, and urban monasteries created gardens within their walls. So, gardens became a way that a religion from India (a very foreign land, as you can see in Origins of Indian Culture) could be expressed in Chinese idioms. 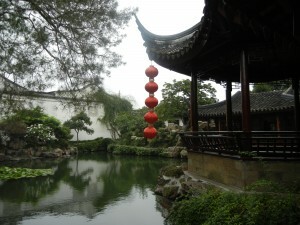 So, gardens became a means for assimilating an exotic new land into traditional Chinese thought during a turbulent time. 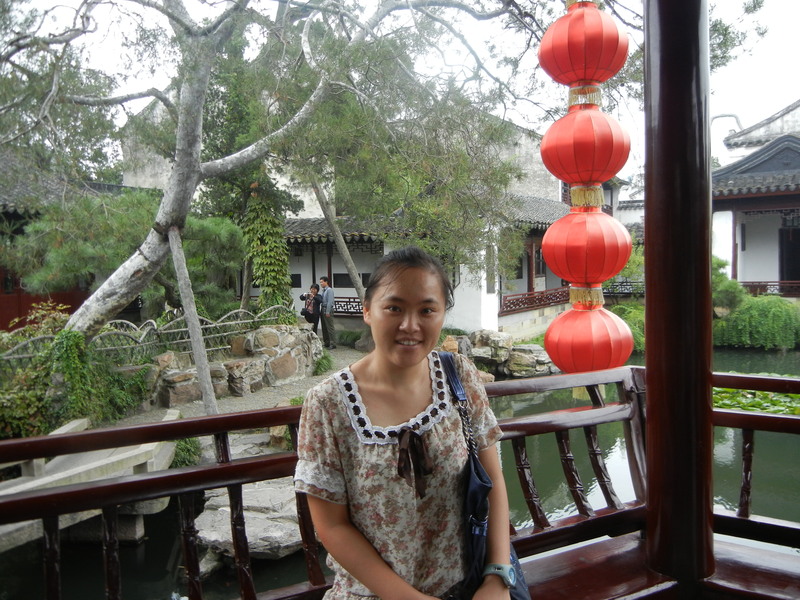 But in the process, Chinese thought expanded into many new idioms and became more robust. Chinese parks are still key cultural spaces. 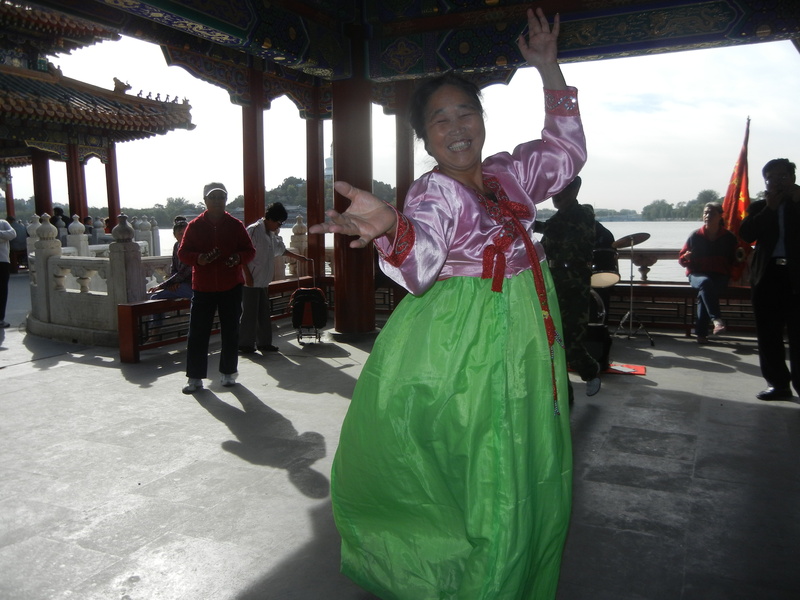 Above, elderly people celebrate national independence in Beijing’s Beihai Park by performing patriotic Communist Party songs. 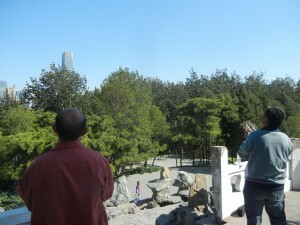 The great urban parks are now open to the people–the laobaixing (hundred old sir names), or ordinary folks. Everyone can enjoy them now. Regular guys fly kites in front of Beijing’s modern skyscrapers. 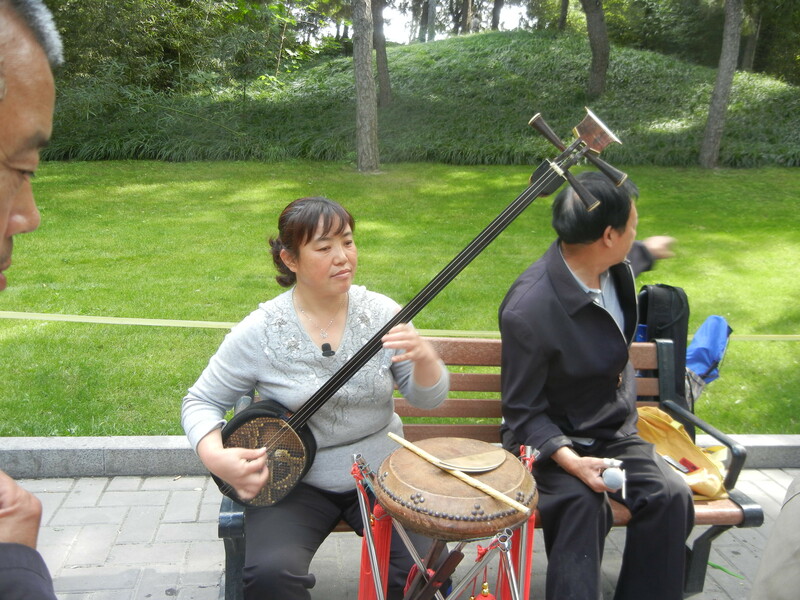 And musicians make a few extra Yuan by performing and selling CD’s of folk music. Parks are central features of modern Chinese cities, but they allow locals to maintain their ancient cultural continuity. Spend as much time in them as you can if you go to China.